Do all of your online activities support each other? Is everything you’re doing online drive results? Are the messages integrated across online tools? We have the internet strategy experience to evaluate the available online resources and build a unique internet strategy plan that will work for your business. Are you correctly representing yourself online through your website? Is your website built on a new content management system that enables the most flexibility for updating your website? Is your website aligned with your marketing strategy? 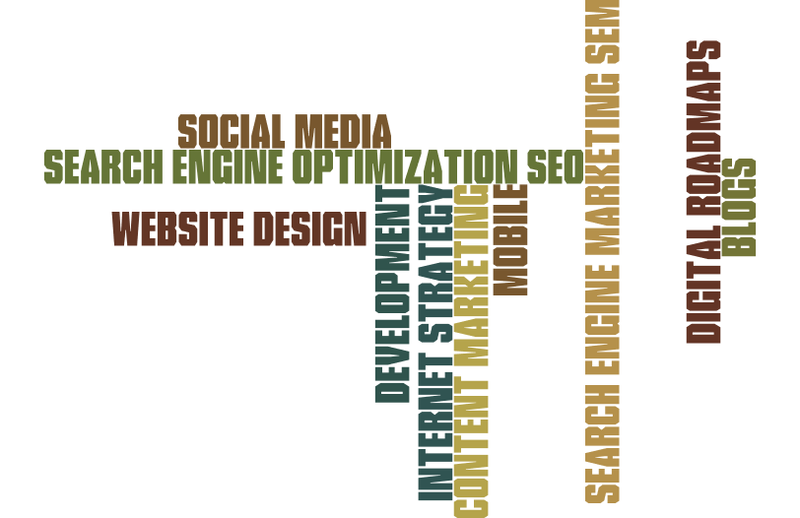 We will partner with you to deliver a new website that will support your marketing direction. Are you advertising on the search engines like Google? What about smaller sites that reach customers locally? Do you know how to bid and write the copy for your online campaigns? We will build a plan and manage the program for you. Have you researched and evaluated all of the social media venues available to you? Do you know where your customers and potential customers are spending their time online? Are you tailoring your messages to the social media channel to optimize interactions? We will build a plan for you and implement it so you can take advantage of the right social media channels for your business. Is your website optimized for search engines? Are the right keywords being emphasized? Are you competing effectively for the organic traffic to your website? Don’t worry about the technical aspects of SEO, we have experts who can reenergize your site and optimize it for targeted site visits. Content is the key to being found online. It’s essential that your contact conveys your core message as well as highlighting the benefits of your products or services. We will work with your team to identify the content areas that need focus and development on across your digital channels. Have you evaluated all potential digital initiatives and prioritized them? Do you know which ones are key to your success? Have you ranked them against critical objectives so you focus on the right ones first? We’ll work with you to build a custom digital roadmap based on a unique scorecard that evaluates potential digital projects against important company metrics and available resources. Part of establishing a positive reputation in the marketplace includes connecting with your customers. A blog offers a means of regular communication and creates an opportunity for dialogue with potential customers as well. Do you need a mobile website or a mobile application or both? How do you decide? How should you promote your mobile presence? We’ll help you make that decision by working with you on your mobile objectives and build a strategy that is right for you.